​We are an active square dance club located in Gardner, KS. We always welcome guest dancers and non-dancers! Come join us for our Star Wars Dance on April 27th. ​The force will be strong with this one. Note: This was at the end of an evening dancing with the Docey Dandies. 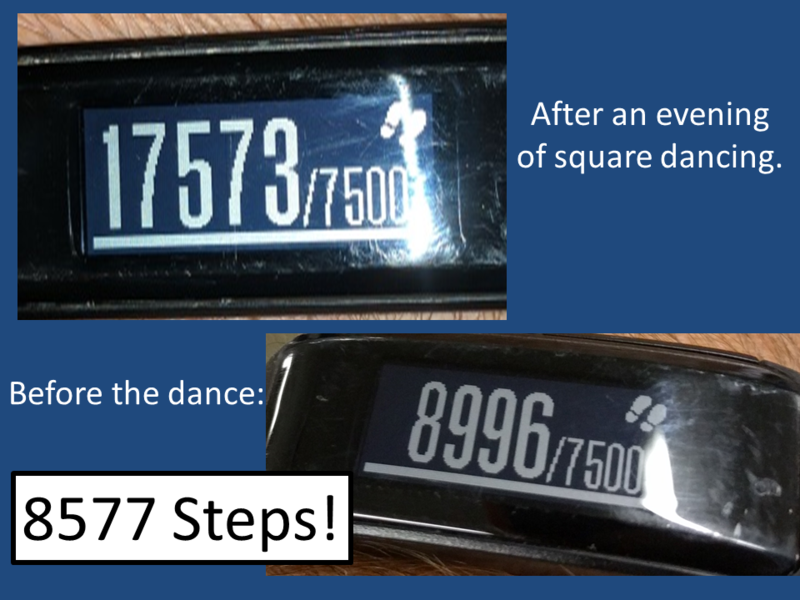 The dancer had about 8100 steps prior to the dance, so 8227 steps were from the evening of square dancing!